Never Enough Nails: SinfulColors Henna I Do Nail Appliques! I was excited to try SinfulColors nail appliques for the first time this week. 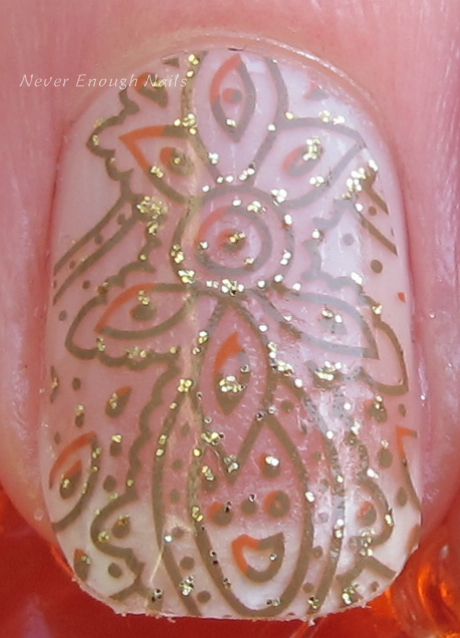 I like the idea of nail appliques, especially when the designs are more complex than my nail art skills allow. However, I feel a lot of them are pretty pricey for how long they seem to last on me. But not the SinfulColors appliques, they are just $1.99! 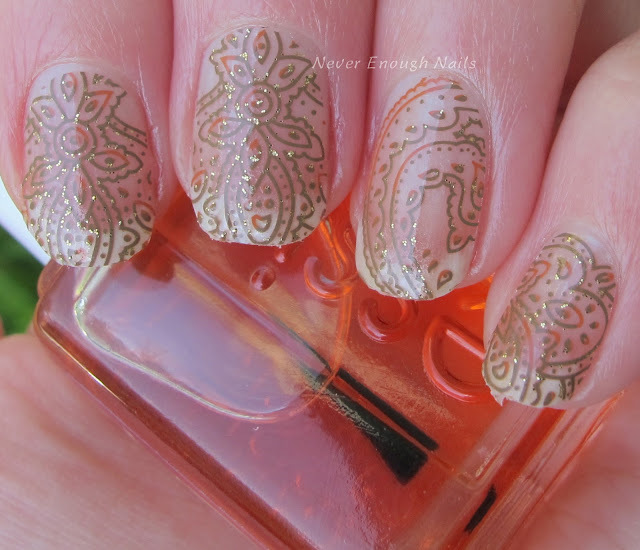 I tried the SinfulColors Henna I Do stickers from the summer 2015 Street Fusion collection. 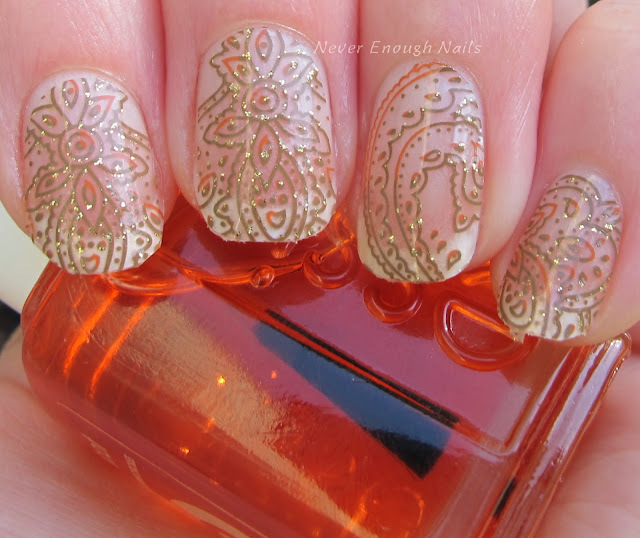 These appliques are clear with gorgeous gold designs with coral accents. I loved how these looked!! I typically hate seeing the whites of my nails, but I liked it here for some reason! These were pretty easy to apply. I just selected the right size for each nail, stuck them on and filed off the excess. Unlike some other strips I've tried, the excess was easy to file off. I didn't top coat these, so they only lasted a day. If I top coat nail appliques, they sometimes last 2 days for me, but I've never worn been able to wear them longer than that. It might be my application, but the stickers at the tips always pull up. Overall, I love this design and the ease of application! There are five sets of nail appliques in the SinfulColors Street Fusion collection, as well as 29 lacquers and 6 glitter top coats, so check them out at now at a Walgreens or other mass retailer near you.